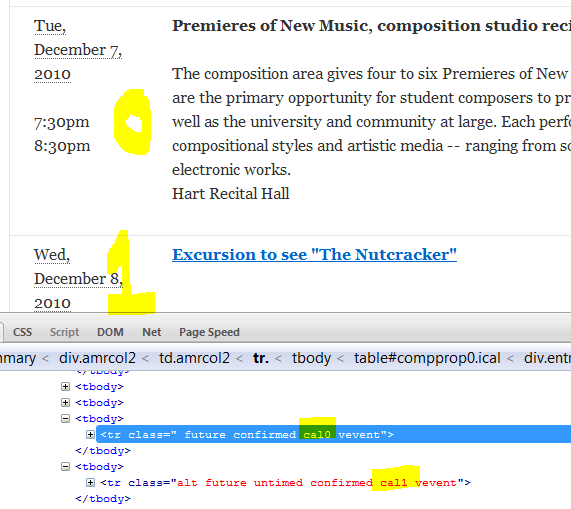 There are many css tags that allow you to style events differently by different criteria. This is one and addresses the situation where you are combining external ics feeds. Events from the first feed have a class of “cal0”, and the second “cal1”. One can then use that row class to style events differently. Note that it is also possible to request a non table html structure in the list type configuration – the classes will still be there.